Are you tired of ducking in and out of windrows to fill water tanks? Frontier has the simplest, most effective machinery to water windrows. 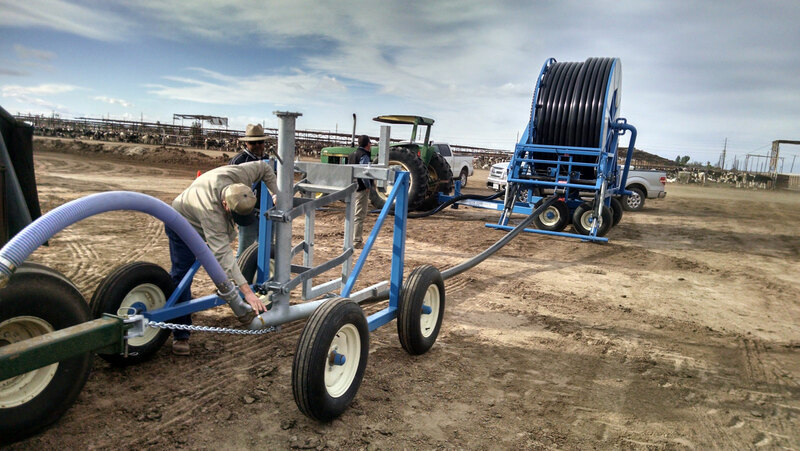 Our full line of reel watering systems will supply any size turner with ample water for any length windrow up to 1600 feet long. 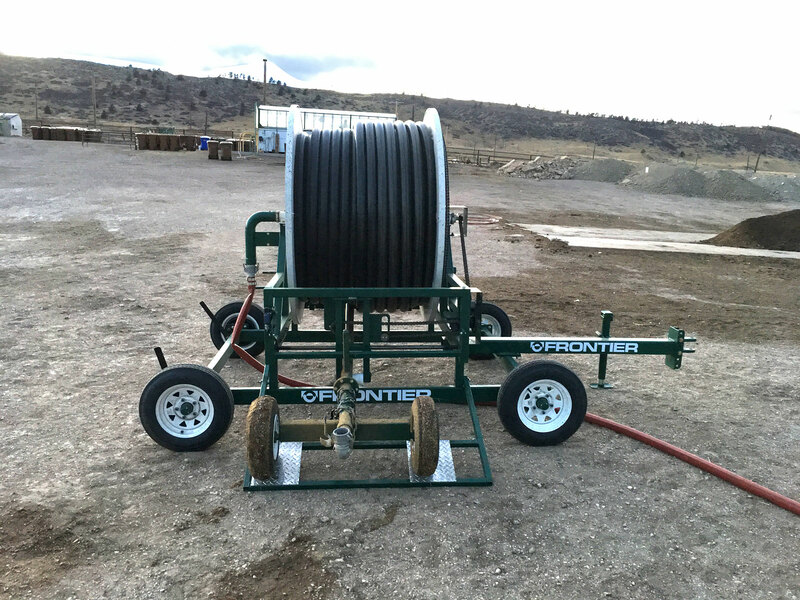 Combined with our patented drum and paddle configuration these watering systems provide calibrated water injection, directly into your windrow while turning, to attain the perfect moisture level for your composting operation. Water up to two windrows with one hose set. One man operation with quick reel in and move to the next set. Contact Frontier for complete method information and quote.